Celebrate the arrival of spring and explore a whole new world of wine with some exciting alternative varietals guaranteed to become firm new favourites. To take the guess work out of what you think you might or might not enjoy, the Tasting Panel has selected seven favourite main-stream varietals our Members love and suggested a new alternative varietal that is similar. Chardonnay + Roussanne, Sauvignon Blanc + Vermentino, Pinot G + Arneis, Riesling + Gruner Veltliner, Shiraz + Montepulciano, Cabernet Sauvignon + Durif, and Pinot Noir + Nero d’Avola. "Wonderfully aromatic, Roussanne delivers all the stonefruit and honeysuckle characters that Chardonnay drinkers can’t resist,” says Tasting Panellist, Dave Mavor. Roussanne hails from the Northern Rhône and its name comes from ‘roux’, French for ‘russet’, which describes the reddish-gold colour of its skin when ripe. It thrives in moderate to warm climates such as Barossa Valley, McLaren Vale and Rutherglen. Its rich texture makes it ideal with creamy sauces – roasted poultry, shellfish with cream sauce, pork dishes. Discover the delights of Roussanne here. “Sauvignon Blanc fans will love how Vermentino is just as mouth-watering and full of citrus flavours,” says Tasting Panellist, Nicole Gow. Find out more about the variety with Nicole's Vermentino guide here. Most famously grown on the Italian island of Sardinia, it makes perfect sense that Vermentino suits Australia’s warm climate, especially that of McLaren Vale. Styles range from light and fresh to rich and textural. It thrives in cool to warm climates giving different characteristics. Grown increasingly in Australia, most notably in King Valley, McLaren Vale and the Hunter Valley. Bright acidity and textural elements make it idea with a range of simply-prepared foods – grilled white fish, calamari, and tomato based sauces. Experience the refreshing citrus flavours of Vermentino here. “Crisp, floral and packed full of pear with a lovely texture, like Pinot G, Arneis is a fabulously food-friendly white,” says Tasting Panellist, Keith Tulloch. Originating in Italy, Arneis is a white varietal winemakers often blend with Nebbiolo to add a touch of sweetness and perfume. Here in Australia, it’s living up to its reputation as being a little difficult to grow – an emerging hit. It thrives on cool to moderate climates such as Adelaide Hills, King Valley and Mornington Peninsula. A crisp yet generous and versatile variety – pair it with salads, egg-based dishes, antipasto. Discover the food-friendly Arneis here. “Gruner Veltliner is very similar to Riesling, but with just a little more richness and a distinctive peppery aroma that I know you’ll adore," says Tasting Panellist, Trent Mannell. Gruener Veltliner is the most famous and widely planted white variety in Austria. Here in Australia it’s gaining a great following due to passion of producers including Tomich Wines, Cape Barren and Geoff Hardy. It thrives in cool climates such as Adelaide Hills. An elegant, complex and savoury variety, ideally suited to aromatic dishes, spicy vegetables, tofu and Japanese. 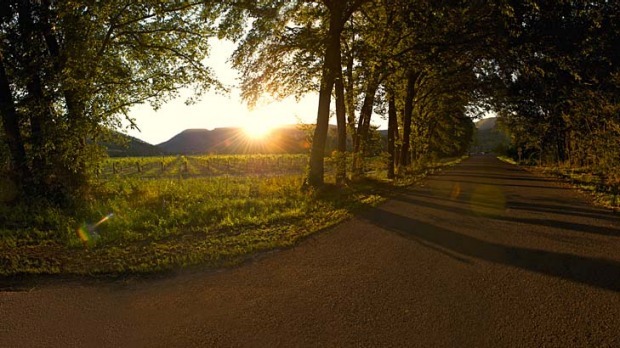 Venture into the world of Gruner Veltliner here. “Montepulciano’s (‘Monte’s’) appeal lies in its beautifully generous fruit, including red plum, sour cherry and boysenberry, and moderate acidity, so I reckon if you love Australian Shiraz, you’ll love Monte, too," says Tasting Panellist, Adam Walls. In true Aussie style, Montepulciano has been shortened to ‘Monte’. The Italian varietal has had success in Australia’s warmer and cooler climates, most likely because it’s a relatively late ripening variety. Just like Shiraz, it’s hardy, disease-resistant and can handle the heat and cold. Great examples of Monte can be found in Adelaide Hills, Barossa Valley and Riverland. The general fruit intensity and richness of Monte mean that it’s a natural match to an array of rich and intensely flavoured dishes. Some complementary pairings include mushroom ragu with rag pasta, braised beef shin and pepperoni pizza. Explore this increasingly popular varietal here. “Durif and Cabernet are similarly luxurious with dark cherry, chocolate and hints of anise,” says Tasting Panellist, Dave Mavor. Hailing from the south of France, Durif is now most prolific in Australia and California. It has great ageing potential and blends beautifully with Shiraz. It thrives in hot climates such as Rutherglen, Barossa Valley and Riverland. Pair it with richer, high fat foods to balance the robust tannins – rich braised meats, casserole and meaty pasta. Delve into the delicious world of Durif here. Translating as ‘black grape of Avola’, Nero d’Avola hails from the Italian town for which it’s named. It didn’t arrive in Australia until 1998 and while it’s not widely known, it’s proving to be a delicious drink. It thrives in moderate to warm climates such as Barossa Valley, McLaren Vale, Riverland, Heathcote and Murray Darling. Pair it with rich dishes that will be balanced by the tannins and high acidity – osso bucco, spicy Indian and game meat. Make a Nero d’Avola discovery here. Expand your cellar with all of these great new finds, and open up a whole new world of food and wine matching possibilities.